These dive packages commence on fixed dates. Choose from 13, 8 and 7 day itineraries. See the itinerary in this page. Guaranteed departure with 2 divers. 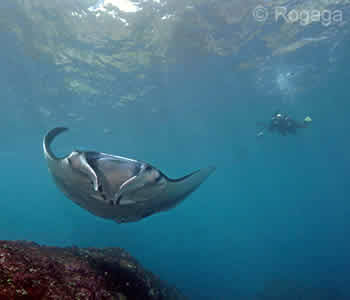 These Best of Bali Dive Safaris commence on fixed dates, with guaranteed departure based on a minimum of 2 divers. The 13 Day Best of Bali “circles” the island allowing you to experience the widest variety of Bali dive sites. The 8 Day BoB focuses on the north west and north east coasts. 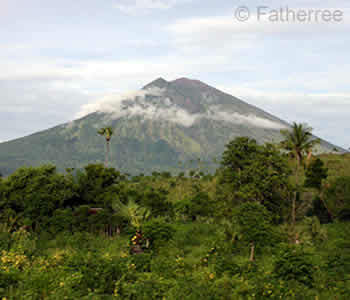 The 7 Day Best of Bali itinerary offers diving on the north east and east coasts. All rooms have air-conditioning and private bathroom with hot water; all resorts have swimming pools. For single divers not wishing to pay for single occupancy, AquaMarine Diving – Bali will allocate a twin room to be shared with another guest of the same gender. AquaMarine Diving – Bali boats are, without a doubt, the three best custom-made dive boats in Bali. Each boat uses 4-stroke Suzuki engines and has a 3-person boat crew, on-board toilet, cushioned seating, non-slip floor mats, roof for protection from sun and wind/rain, sundeck with mattress, coffee/tea/hot chocolate and bottled water, marine radio communication, life jackets, life rings, fire extinguisher, O2 kit, first-aid kit, exit ladder, ample tank storage space. Menjangan Island (13D/12N, 8D/7N): Traditional wooden boats – 5 divers. Amed (13D/12N, 7D/6N): Traditional wooden boats – 3 divers. The interiors of our Isuzu Elf minibuses were custom-designed to provide maximum leg room. AMD-B minibuses carry 6 passengers + driver and guide; other companies carry 12 passengers in the same space. AMD-B offers Set Itinerary Land Tours or can follow the route of a Land Tour you put together yourself. Land activities include golf, surfing and Balinese Cookery classes, Bali Safari Park, and Waterbom. **The 8 Day and 7 Day BoB Safaris follow the 1st/2nd parts of the 13 Day Itinerary.